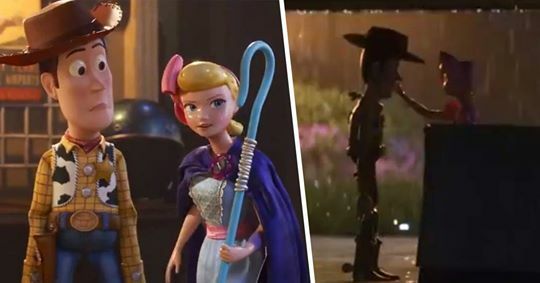 Disney and Pixar have been teasing us with snippets from the highly anticipated sequel Toy Story 4, but they’ve finally released a full-length trailer. The latest trailer gives us a more in-depth look at what we can expect from the upcoming film, which will hit cinemas this summer. Woody, Buzz and the gang are all back for a new adventure as Bonnie takes them on a family road trip that takes an unexpected detour. Being honest, I already have plenty of misgivings about the new installment in the beloved franchise, mainly because Toy Story 3 felt like the end of an era, bringing to a close a perfect trilogy of films. However, I am a sucker for Toy Story, and the new trailer has reminded me how much I love the characters, so I will be there on opening night, in my Pixar jumper, ready to take it all in. According to Buzz Lightyear himself, Tim Allen, we’re in for an emotional ride, which isn’t a surprise as all Disney and Pixar films make me cry. That scene at the end of Toy Story 3 where Andy says goodbye to the toys, it just breaks my heart! Allen’s tweet followed Tom Hanks’ announcement that he too had finished recording for the fourth film. Hanks has voiced the rootinest tootinest cowboy in the wild, wild west, Woody, since 1995. Final line, final session as Woody of Toy Story 4. We rode like the wind, to infinity and beyond. Hanx. Disney and Pixar, please, please don’t let us down!